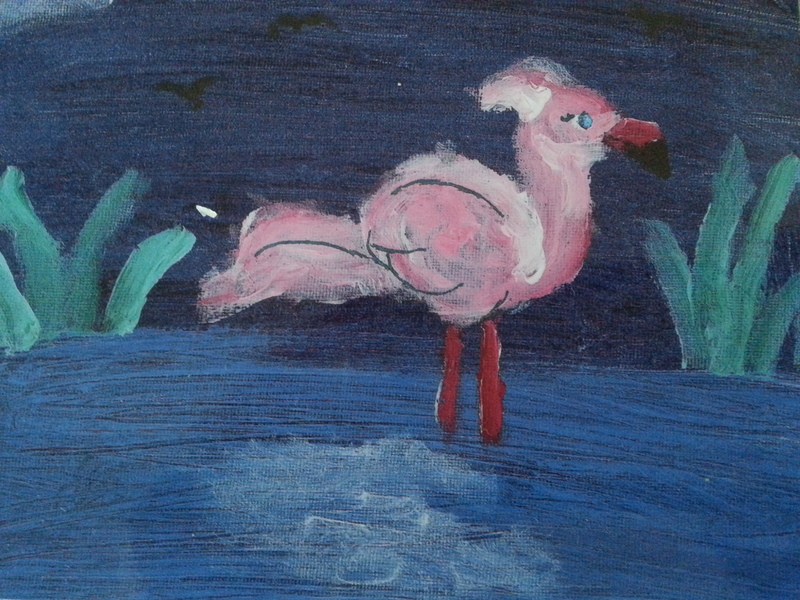 “FLAMINGO” is an original oil painting by Christina Schoonmaker, resident of the Keystone State, Pennsylvania. Christina has a speech and language impairment disability due to a brain injury from a childhood illness. 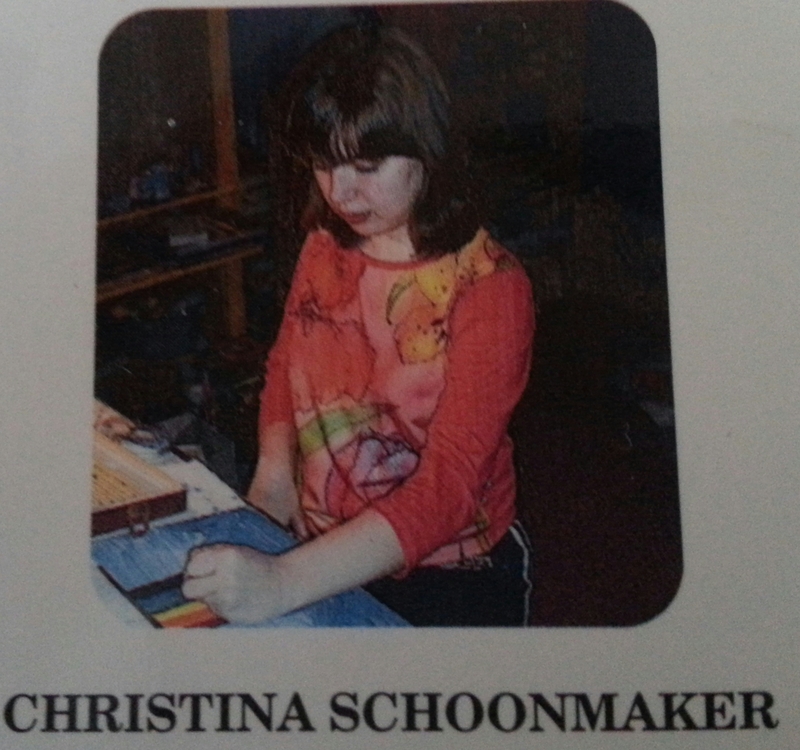 Christina wants to have a career creating art and wants to share her love of art with others. This greeting card was reproduced from an original artwork by Christina Schoonmaker for THASC Sales Co. which has employed a unique group of handicapped artists who create art to help rehabilitate themselves. They gain self-respect and pride through their artwork. My love affair with South Florida began when my parents used to take us there when I was a young girl. I loved the warmth of the tropics and especially loved being so close to the ocean in Miami Beach. 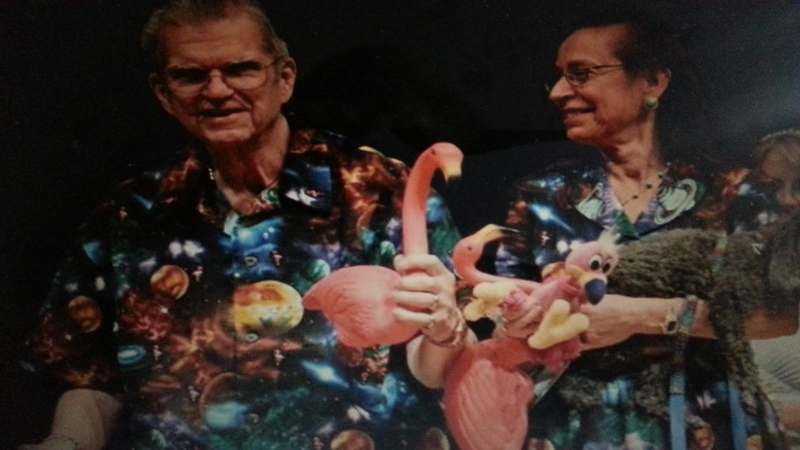 We all adored Parrot Jungle and putting the birds on our arms, and of course Monkey Jungle, but more than those two my favorite was Flamingo Jungle. I was captured by the elegance of those tall, pink wading birds with long legs and necks with strongly downturned bills, which range from 3-5 feet tall. The expression, “You are what you eat.” has real meaning for these birds as their pink color comes from the carotenoid pigments found in the small mollusks, crustaceans and algae they eat in the large, shallow lakes or lagoons where they live. Christina’s “Flamingo” must be a Caribbean flamingo because they are the brightest in color that it also turns their legs, bills and faces red, pink or orange. Why are flamingos often seen standing on one leg? Perhaps there are a few reasons: one may be the regulation of body temperature or conserving energy if one leg is closer to the body or maybe to either dry out the legs or just because it’s a comfortable position while standing. Take your choice! What about those long legs? They allow flamingos to wade deeper into the water than most birds to look for food. They turn their bills upside down and are able to filter the small creatures they eat by pumping water and mud out the sides. Flamingos lay one large white egg in a mud nest and by the time a chick leaves the nest, it can already swim and walk very well. 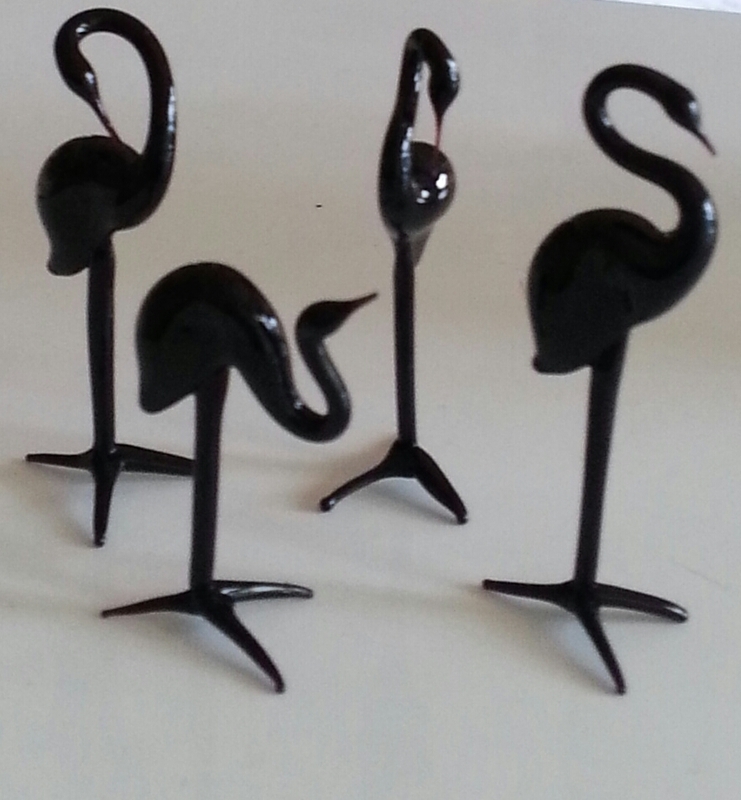 I have to briefly mention the plastic flamingo lawn ornament created in 1957 by Don Featherstone of Worcester, MA. It was created in the same decade as polyester pants, and sold in pairs like hotcakes in the Sears catalog for $2.76. It had its giant ups and downs for 2 decades being flaunted in front yards all over the country. After being replaced by rock gardens and fountains, they were back with a vengeance and in 1987 the governor of Massachusetts announced that the plastic bird was now “an essential contribution to American folk art.” After more than a half century the plastic lawn ornament has now been immortalized in names of hotels, restaurants, casinos and also has its place in the Smithsonian’s collection. THASC artist Christina Schoonmaker’s precious painting reminds me of how many flamingo “tchotchkes” fill my home as the years have passed like my Venetian glass-blown flamingos to flamingo salt and pepper shakers to my Ty Beanie Baby stuffed flamingo that takes its noticeable position on my bed with the other animals. Have a great weekend and please don’t forget to leave a comment! Thanks, Christina, for a delightful topic to explore! I love Flamingos. When l go the zoo, l love seeing the Flamingos, they are breathtaking. To bad you can’t have them in the house for a pet. Well, l was to young to know about the plastic Flamingo lawn ornaments. I never had them,ln my yard growing up,but they woyld have been so xute looking in the yard. When,we went for a virat to sse you,in Florida, we loved seeing all the jungles. It was a fun time. Well, l think that Christians Flamingo painting is so beautiful. I showed my son the painting,and he said that was the best Flamingo painting he every seen. Well,maybe some day l will paint a Flamingo painting. I also,have to get a lawn Flamingo some day. Bye,intil next week. Keep up the good work Maria,as always!!!! Dear Dana, what would I do without you and your lovely comments! I wish more people would LEAVE A COMMENT as well. Thank you as gain, Dana. I am sure the artistsenjoy your comments as well!!!! I love Christina’s card with the pink flamingo on the front. She is very talented!! I too cherish all my memories of our time spent in Florida. Remember the pink flamingo Christmas tree ornament? I still hang it every year on our Christmas tree. 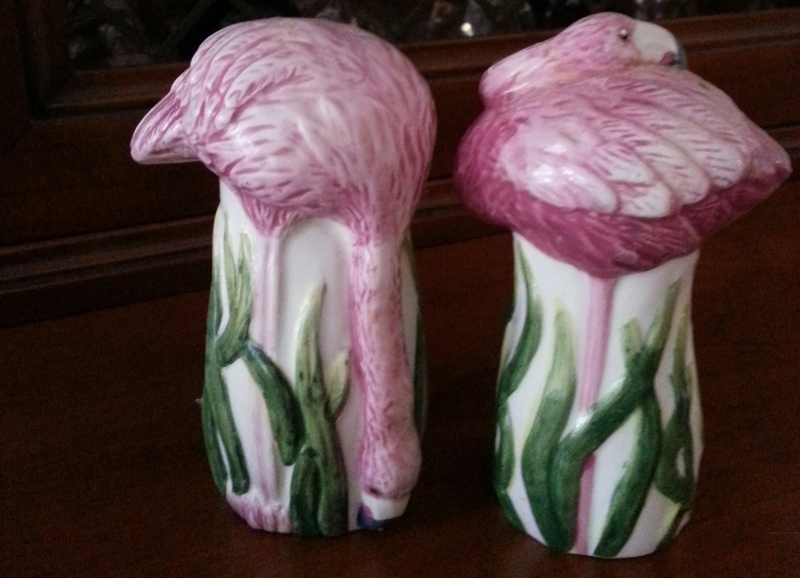 When I think of flamingos, I’m always reminded of Disney’s Alice and Wonderland and the queen of hearts playing croquet with flamingos and hedgehogs. They are another amazing avian species I have yet to work with. Great painting! I always notice the legs in paintings, drawings, and sculptures of certain species of birds. Flamingos are one type of many birds where the knee joint bends in that opposite direction of humans. A lot of people get that wrong. Hazard of working in the animal field, you notice attention to detail in everything related to animals. Her painting is fabulous to say the least! I love the sweetness and simplicity of Christina Schoonmaker’s oil painting, “Flamingo.” There is a purity of spirit in her painting which is very appealing and brings me a sense of peace and beauty. She has a gentle touch – no easy feat working with oil. Since living in St Croix for the past 36 years, I have only seen a pair of flamingos here two times. One can only wonder where they came from and how they ended up here. I hope Christina continues to paint and bring more beauty to our world. Mille grazie, Maria, for showcasing this artist!